Ballmer thinks the Clippers are worth more than $3 billion right now. He purchased the team for $2 billion in May of 2014. If Ballmer's estimates are correct, that's an increase of $1 billion – more than 50 percent – in just five years. 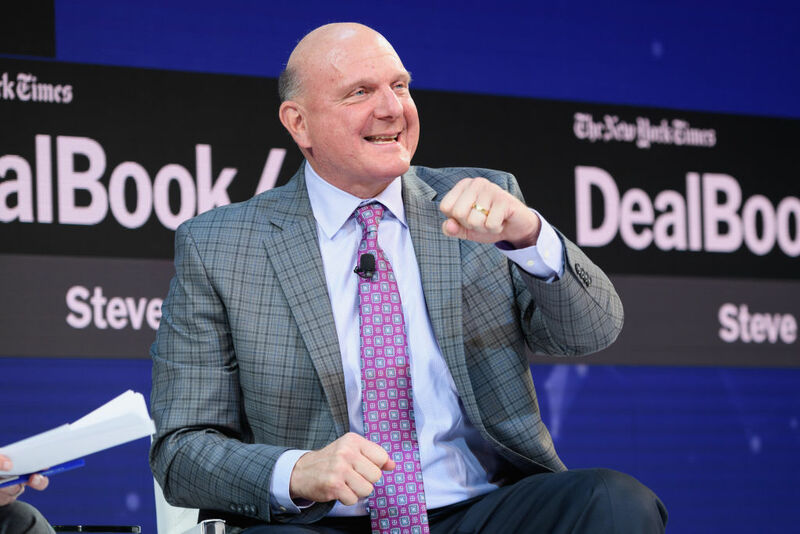 In an interview with NBC's Claire Atkinson, Ballmer said, "My guess is, if I looked to sell the team now, the first number would be a three." But that hasn't stopped Ballmer from setting his sights high. NBA franchise values, in general, continue to rise, and there's still lucrative potential in L.A. – even if LeBron and the Baby Lakers are stealing the headlines. The Clippers are also in talks to build a new arena in Inglewood. A fancy home that the team could call its own would certainly add to the Clippers' value. Of course, this is all hypothetical at this point. Ballmer hasn't expressed a desire to sell the team anytime soon. And why should he? As long as the NBA is thriving, Ballmer can make a huge return on his investment. Steve Ballmer had a chance to sign a $60 million a year deal with Fox for the local television rights to Clippers games but he declined, with hopes he could get $100 million. Now, it looks like he can't even get $60 million. Clippers Owner Steve Ballmer Turns Down $60 million/Year TV Deal – And He's Not Crazy! Steve Ballmer turned the NBA on its head when he bought the Clippers for a record-setting $2 billion. He may be doing so again after turning down a $60 million/season television deal.